Instead of driving in and needing a parking spot, cycling is an option. The Glenwood Bike Trail and Pedestrian Path trails along I- 70 are paved, wide and simply fantastic. It is possible to cycle east from Glenwood to the trailhead. Just be sure to consider the “after the hike” ride back. This moderate hike is a pretty good workout. 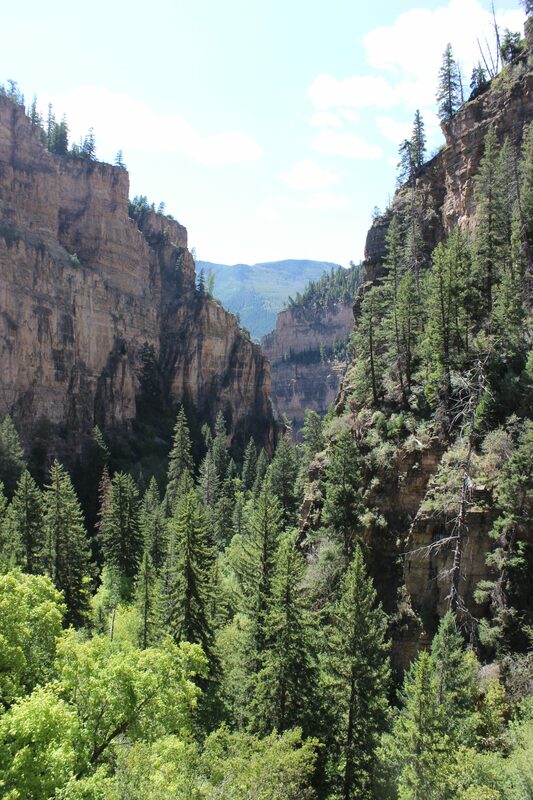 The trail to Hanging Lake follows Dead Horse Creek. Much of the hike is in trees, so there is dappled sunlight and plenty of shade, but it is a steep trail with frequent uneven surface. Be sure to wear good shoes and bring plenty of water for the 2 mile round trip. If you are not accustomed to high altitude, please be mindful of the symptoms of altitude sickness. 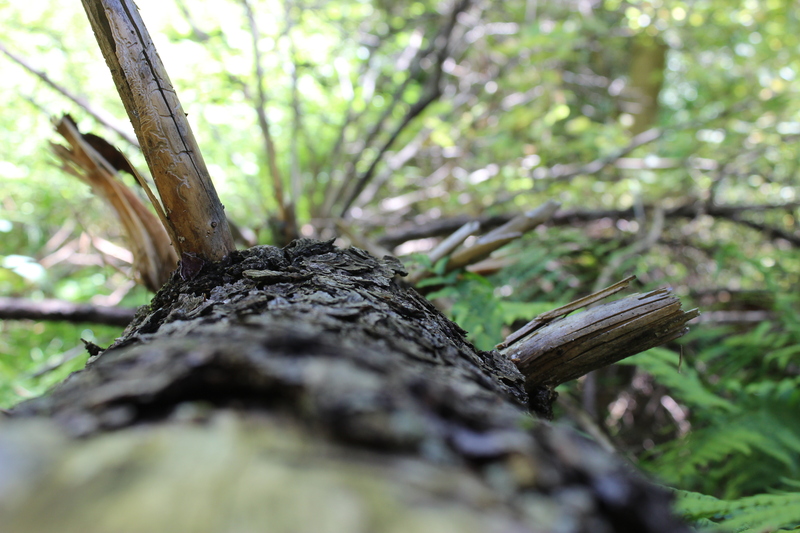 As you reach the top of the trail, it does become more steep, but there are handrails to grab hold of. 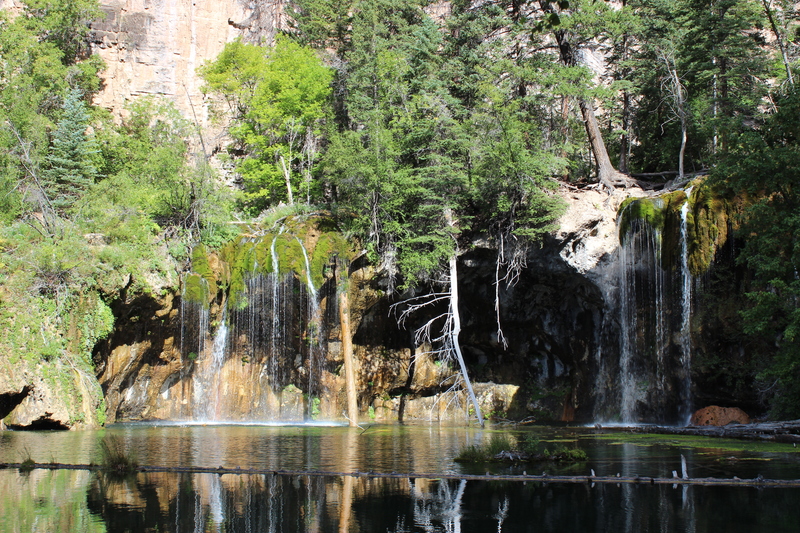 The view of Hanging Lake is worth the hard work to see this special Colorado wonder. Once you get to the board walk, take a few slow breaths and enjoy the scenery. The water is clear and the fish and other life are easily seen. The lake is fragile and protected. Please stay out of the water, just soak in the beauty and make a few photographs. Enjoy the bird song and the sound of the water falling. But please, stay out of the water. As you start to head back down, follow the signs to an area behind the lake and you will find Sprouting Rock. 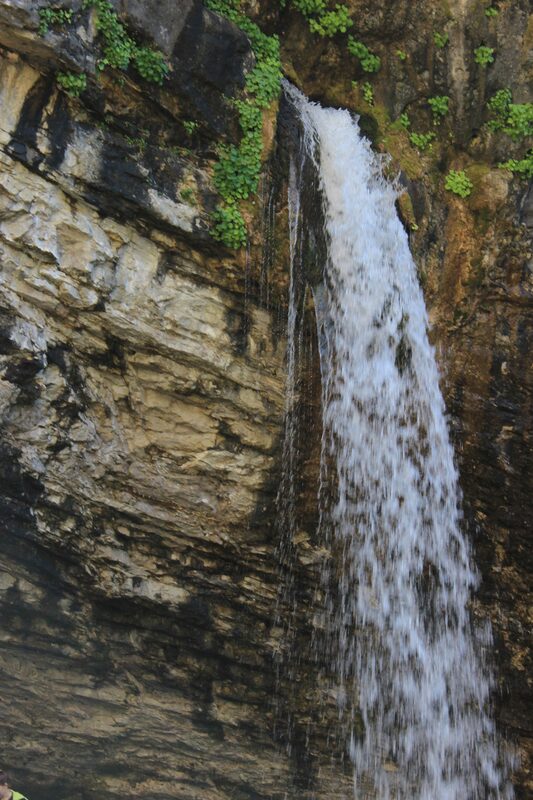 There you can walk behind the water fall and cool off in the spray, before hiking down. 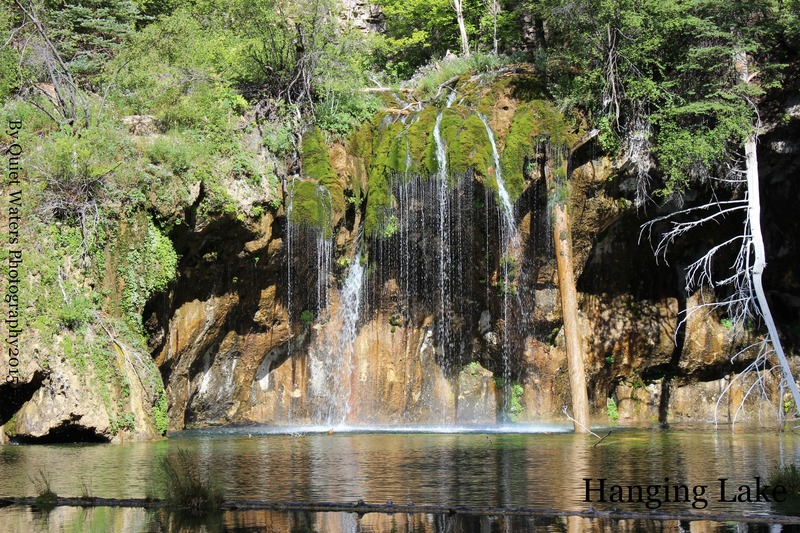 Have you been to Glenwood Springs or Hanging Rock? Do you have recommendations for other good hikes in the area?